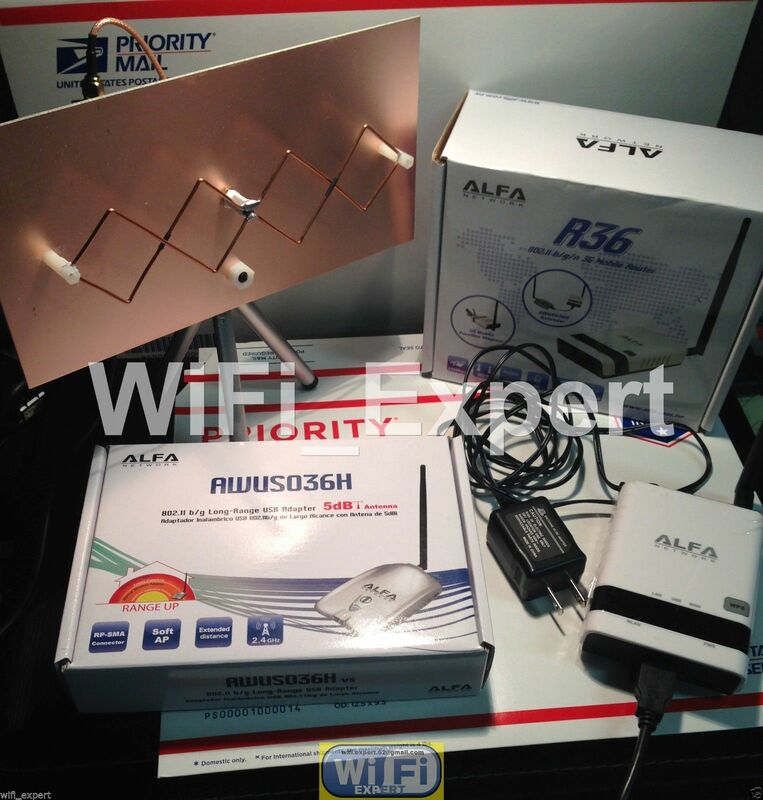 Includes: 1 (One) Double BiQuad Antenna with 6 inch jumper cable RP-SMA Male connector on a tripod with Alfa Long Range AWUS036H 1000mW B/G Network adapter in retail package and Alfa R36 USB/3G router. Will work for any computer/laptop/tablet/smart phone. 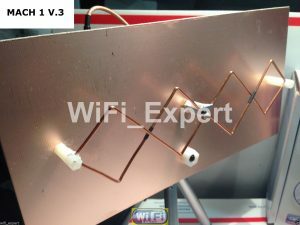 You will get one Double BiQuad antenna with 6 inch RP-SMA jumper cable as seen on the picture and one Alfa R36 router plus Alfa Long Range AWUS036H B/G Network adapter SEALED in retail box with suction cup holder.